Smartphone vendors tend to give more attention to their latest arrivals and at OnePlus, it’s no longer OnePlus 5 or OnePlus 5T, rather, it’s the new OnePlus 6. The phone goes official on May 16 and will start selling a week later in India, but more markets will have it by end of May or in June 2018. Once you grab the OnePlus 6, you’ll find an update to Android P beta waiting for you. The company made this information public a week ago via its official forums, but this wasn’t the only thing we gathered from the announcement. 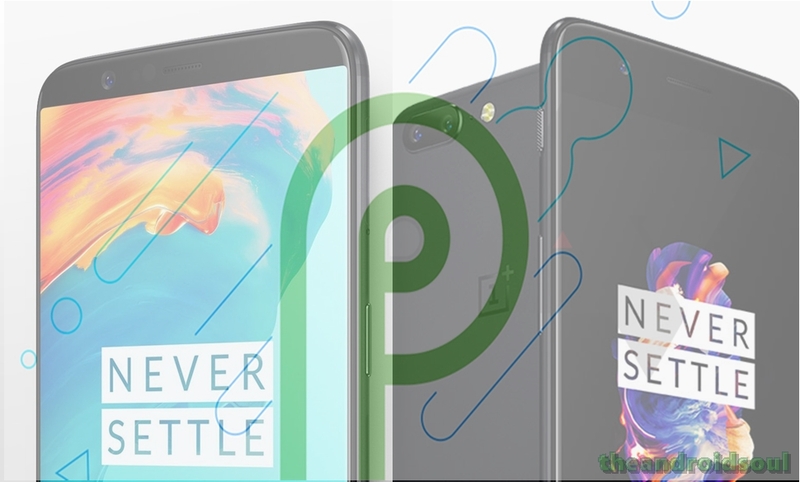 Apparently, those using OnePlus 5 and 5T are being lined up for something nice “later this year.” When exactly this will be happening is still unknown, but knowing OnePlus and its continued push to improve on its software front, it’s likely that Android P beta for OnePlus 5 and 5T will arrive in June or July 2018. OnePlus 5/5T friends, we’ll have something nice lined up for you later this year. Also, it’s worth noting that while OnePlus 6 is set to receive the developer preview version, we cannot guarantee that this is the same version that will be pushed to OnePlus 5 and 5T. In fact, we are of the idea that the pair will receive the public beta version, which is also available to some non-Google devices like Sony Xperia XZ2. We’ll be here to let you know when this update will be made available. All you need is to keep following us!